A breaker hammer is a versatile tool you can use to break up blocks of concrete, bricks, and other materials. But how do you choose one to buy from the many breaker hammers sold online? We know how time-consuming research can be, which is why we compared various breaker hammers, and when the dust settled, these three emerged at the top. We will take a look at their features, pros and cons, and then we do a head-to-head comparison. Thee XtremepowerUS is a well-designed breaker hammer, and it provides significantly more power than its 2,200-watt counterpart. Its 1,900 impacts per minute is one of the best in its range and overall, the quality is high. Whether you need to work on your basement or break up an in-ground pool, the XtremepowerUS jackhammer can handle it. The Makita AVT Breaker Hammer is a heavy-duty power tool any way you look at it. If you do a lot of professional work and the ordinary breaker hammer isn’t getting it done, you’ll need a more versatile piece of equipment like the AVT. Not only is it powerful, but the AVT is quiet and lasts longer, making it a good investment. The Service Minder System provides top-of-the line maintenance. The Bosch breaker hammer is a powerful breaker hammer, and it is what you can use if the typical breaker hammers don’t cut it. It is heavier than portable jackhammers, yes, but that is to be expected given its power and features. If your work involves breaking up lots of concrete and bricks, you will appreciate this power. After reviewing each breaker hammer, we also conducted a head-to-head comparison. As you will see, each of these offers something special. Overall, we’d say the AVT breaker hammer offers the most value, but the other two are pretty good as well. The Bosch Brute Breaker is ideal for those who have been using Bosch breaker hammers and looking for an upgrade in power. While it’s called a “basic kit” you get a lot of value, plus the inclusion of chisels and anti-vibration control really makes a difference. For superior performance and dependability, the Makita AVT is our preferred choice. 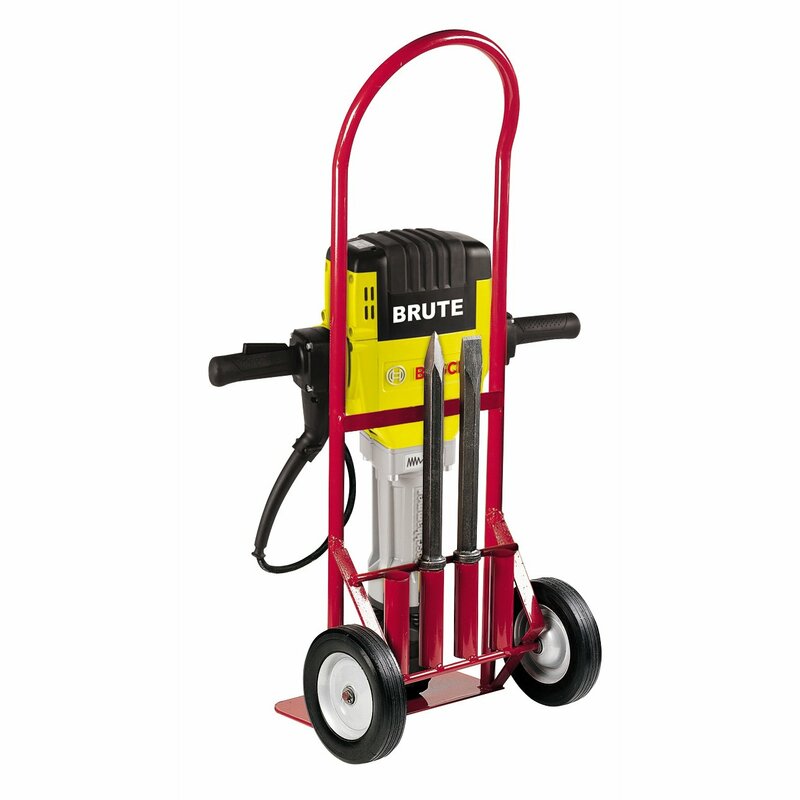 It is equipped with a powerful motor and has the specs to handle the most demanding jobs. While a lot of breaker hammer have anti-vibration built in, the Makita AVT does it better. In addition, we like its noise-reduction feature and durability. 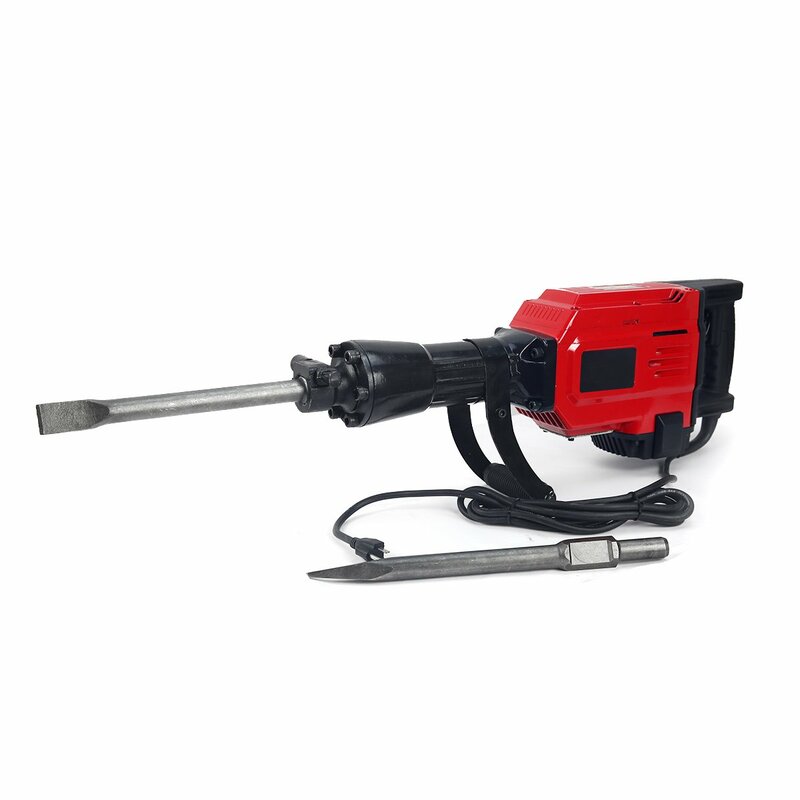 If you don’t do a lot of breaker hammering and just need one that packs power, the XtremepowerUS is the one that you may want to try. It doesn’t have the power of the Makita AVT or the Bosch, but some people don’t need a lot of power. If you are among those and just want a cost-effective breaker hammer, the XtremepowerUS will work fine. Breaker hammers used to be only for those who could afford the high price. Now, that is no longer the case as breaker hammers have become more affordable. Hopefully with the three breaker hammers reviewed here, you’ll have an easier time picking out the right one for the job.